Rotorua is one of the most motel-friendly cities in New Zealand. 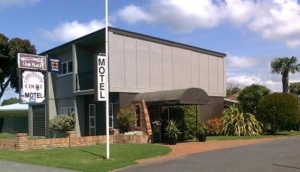 With one north-to-south road, in particular, teeming with rooms to suit all budgets, Rotorua Motels are some of the best in the land. Motels in Rotorua seem to multiply year on year, as more people come here. Fenton Street is undoubtedly the centre of operations for the motel trade. Stretching from Amohau Street in the north, all the way through the CBD to Hemo Road (SH-30) in the south, Fenton Street is the Vegas strip of motels. There's an impressive range, too. From the standard drive-in, outside the door motels, with kitchenettes and simple bedding configurations, to more luxurious spa units, you won't have any trouble finding one to suit your budget. If you don't want to be staying on Fenton Street (which can get noisy, particularly around the Malfroy Road junction), there are some quieter motels around the residential roads of Victoria Street and Peace Street, both within easy walking distance of the CBD.